Boundaries and Soil - First Private Proprietors - "Granger Hill"-The First "Squatter" - The First Permanent Settler - Isaiah Fish, the First Child - Going Ten Miles to Work - Abundant Rattlesnakes - E. & M. Fish - The Oldest Inhabitant - The Brainards - A Fish and Brainard Settlement - First Framed House - An Avalanche of Emigration - More Brainards-Fears of Paupers - Trying to mortgage a Farm for Flour - First Settlers at Brighton - Some More Brainards - The Aikens - Other Settlers - Early Mills - Civil Organization - List of Officers - Brooklyn Methodist Episcopal Church - First Congregational Church - Brighton Methodist Church - Church of the Lady of the Sacred Heart - Disciple Congregation - Early Schools - Present Schools - Brooklyn Village Schools - West Cleveland Schools - Brooklyn Academy - Brighton Academy - Brighton Village - Brooklyn Village - Its Officers - West Cleveland - Its Officers - Industrial School Farm - Linndale - Cemeteries - Post Offices - Cleveland Dryer Company - Lake Erie Dryer Company - Other Manufacturers - Nurseries - Railways - Glenn Lodge I. O. O. F. - Glenn Encampment - Brooklyn Lodge F. & A. M. - Militia Companies - Brooklyn Hook and Ladder Company. Brooklyn township, which joins the city of Cleveland on the west and south, is a part of range thirteen, in which it is township number seven. It included originally all that part of the territory of the city of Cleveland lying on the west side of the Cuyahoga river, which, along with what now comprises Brooklyn, was set off from Cleveland township to form the township of Brooklyn. Brooklyn's boundaries are the city of Cleveland and Lake Erie on the north, the townships of Parma and Independence on the south, the city of Cleveland and Newburg township on the east, and the township of Rockport on the west. It contains four villages, Brooklyn, West Cleveland, Brighton and Linndale, of which the former two are incorporated. The Cuyahoga river skirts the eastern part of the township on the east, and separates it from Newburg. Its other water courses are unimportant creeks, which, though once valuable as mill streams, are now of no use for that purpose. The land is generally fertile and farms are valuable, especially near the Cleveland line, where attention is given to the cultivation of fruit and garden products; the former industry being profitably followed near the lake shore, and the latter near Brooklyn village. In the division of the Western Reserve, as narrated in the general history, the greater part of Brooklyn, including the present West Side of Cleveland, fell to Richard and Samuel Lord and Josiah Barber, from one or the other, or all, of whom the early settlers purchased their farms. A grassy slope overlooking the Cuyahoga river from Riverside cemetery, and known to this day as "Granger Hill," is the spot where the territory subsequently occupied by the township of Brooklyn received its first white settler. Granger was a "squatter" from Canada, but when he squatted upon his Brooklyn land is not exactly known. He was there, at all events, in May, 1812, when James Fish entered what is now Brooklyn township, as the first of the permanent white settlers of that territory. Granger had with him his son, Samuel, and the two remained until 1815, when they sold their improvements to Asa Brainard and migrated to the Maumee country. James Fish, above mentioned, had been a resident of Groton, Connecticut, and, having purchased a piece of land of Lord & Barber in the present township of Brooklyn, he set out from Groton in the summer of 1811 with an ox-team and a lumber wagon, in which rode himself, his three children, his wife and her mother. He journeyed west in company with a large party of pioneers, but the only ones besides himself destined for Brooklyn were his two cousins, Moses and Ebenezer Fish-the latter of whom made the entire trip on foot. Arriving at Cleveland early in the autumn, after forty-seven days on the road, James Fish decided to pass the winter in Newburg, while Ebenezer and Moses remained in Cleveland. Early in the spring of 1812 James went over from Newburg alone and put up a log-house that cost him just eighteen dollars, and in May of that year he took his family to their new home. Their log cabin was, of course, a rude structure, and its furniture was in keeping with the house. The bedstead-for there was only one at first-was manufactured by the head of the family, and was composed of roughly hewn pieces of wood, fastened with wooden pins, and having in lieu of a bed cord a net work made of strips of bark. This bedstead is still in the possession of Isaiah W., a son of James Fish, who resides in Brooklyn village upon the place originally occupied by his father. Isaiah W. Fish, just mentioned, was born in Brooklyn, May 9, 1814, and was the first white child born in the new settlement. James Fish began at once to clear his land, but while waiting for a crop his family must needs have something to eat. Mr. Fish had no cash, and so he used to go over to Newburg two or three times a week, and work there at farming for fifty cents a day. Thus he managed to reach the harvest season, when from the first fruits of his land he secured a little money. It is, however, a question whether he could have carried his family through the winter, had it not been for the assistance of his wife who to her other duties added that of weaving coverlids, by which she earned a goodly sum, and in which she became so celebrated that she found the demand far beyond her power to supply. When Mr. Fish set out for Newburg on his periodical journeys, he left his family the sole occupants of a wilderness in which there were no residents nearer than Cleveland, and, knowing full well their fears and the good reasons for them, he returned to them faithfully each night, albeit, his trips were always made on foot, and covered ten long miles. Such trips, too, he frequently made on subsequent occasions, when, needing flour or meal, he would shoulder a two bushel bag full of corn, trudge to the Newburg mill, and get back with his meal the same day. Mr. Fish was a great hunter and slayer of rattlesnakes, which were found in immense numbers, and occasionally reared their ugly fronts through openings in the rude floors of the settlers' cabins. It is told of one of Mr. Fish's farm hands in the early days, that on narrowly escaping the attack of a rattlesnake he joyously and thankfully exclaimed: "What a smart idea it was in God Almighty to put bells on them things!" Mr. Fish lived a useful and honored life in Brooklyn, saw cities and villages rise where once he trode the pathless forest, and at the age of ninety-three passed away from earth, on the old homestead, in September, 1875, his wife having proceeded him twenty-one years. Ebenezer and Moses Fish, who have already been mentioned as spending the winter of 1811-12 in Cleveland, followed James Fish to Brooklyn in the spring of 1812, and settled upon eighty acres lying just south of James Fish's place-Ebenezer locating on the north side of what is known as Newburg street, and Moses on the south side. Neither was then married, but, as both expected to be, they worked with a will to prepare their land for cultivation, both living in a log shanty on Ebenezer's land. Ebenezer was one of the militiamen who guarded Omie, the Indian murderer who was hung in Cleveland in June, 1812, as related in the general history. Both also served a few months in the forces called out to guard the frontier during the first year of the war of 1812. Returning to their clearings, they vigorously renewed their pioneer life. Moses was drafted into the military service, but he was far from being strong, and therefore Ebenezer went in his stead, serving six months and taking part in an engagement at Mackinaw Island. After the war closed Ebenezer returned to Connecticut, where he was married and where he remained six years before resuming his residence in Brooklyn. There Mr. Fish has ever since lived, and in his ninety-third year is still a dweller upon his old homestead; the only one now living of the little band of pioneers who began the settlement of Brooklyn. Of the children of Moses Fish, Ozias and Lorenzo reside in Brooklyn, while others are in the far West. Following the Fish families in 1813 came Ozias Brainard, of Connecticut, with four grown daughters and four sons, Ozias, Jr., Timothy, Ira and Bethuel, of whom Ozias, Jr. and Ira had families. They set6tled on the Newburg road, near where Brooklyn village now is, on adjoining places, and all resided in Brooklyn during the remainder of their lives. David S. Brainard, a son of Ozias, Jr., now resides in Cleveland near the country infirmary. At this time, as will have been observed, Brooklyn township was peopled exclusively by Fishes and Brainards, and it used to be a common story in Cleveland that "the visitor to Brooklyn might be certain that the first man he'd meet would be a Fish or a Brainard." Ozias Brainard, Jr., put up the first framed dwelling in Brooklyn, on the place now occupied by his son David, and Asa Brainard raised the first framed barn, which is still in use on the farm of Carlos Jones, the erection of which, in 1818 or before, was the occasion of a hilarious celebration. Asa Brainard also built the first brick house in the old township of Brooklyn at what is now the junction of Columbus and Scranton avenues, where he opened the first public tavern in that township, about 1825. The autumn of 1814 witnessed a large and important accession to the little settlement when six families, comprising forty persons, came thither from Connecticut within a week; thirty-one of them landing with the same hour. These were the families of Isaac Hinckley, Asa Brainard, Elijah Young, Stephen Brainard, Enos Brainard and Warren Brainard, all of whom had been residents of Chatham, Middlesex county, Connecticut. All exchanged their farms there with Lord & Barber for land in "New Connecticut," and all set out for that unknown land on the same day. The train consisted of six wagons, drawn by ten horses and six oxen, and all journeyed together until Euclid was reached (forty days after leaving Chatham), where Isaac Hinckley and his family rested, leaving the others to push on to Brooklyn, whither he followed them within a week. It appears that the trustees of the township of Cleveland-to which the territory of Brooklyn then belonged-became alarmed at the avalanche of emigrants just described, and concluding that they were a band of paupers, for whose support the township would be taxed, started a constable across the river to warn the invaders out of town. Alonzo Carter, a resident of Cleveland, heard of the move, and stopped it by endorsing the good standing of the newcomers-adding that the alleged paupers were worth more money than all the trustees of Cleveland combined. Isaac Hinckley settled in the southeast on lot seventy-nine, near where the line between Parma and Independence intersects the south lines of Brooklyn, in the heart of a thick forest, "a mile from anybody" as his son, Abel, now says. The first table the family used there was made by Mr. Hinckley out of an ash tree. Moreover, although he owned three hundred and sixty acres of land, he had no money to buy flour, and, being in great need of breadstuffs, he offered to mortgage a hundred acres of land as security for a barrel of flour. The Newburg miller, however, preferred the flour to the chance of getting the land, for the former would bring money more readily than the latter. Nevertheless something to eat was procured in some way, for Mr. Hinckley lived on the old place until 1851, when he died at the age of seventy-eight. Asa Brainard located near the site of the infirmary, Stephen Brainard on a place adjoining Mr. Abel Hinckley's present residence in Brooklyn village, and Enos and Warren Brainard near where the Wade House (on Columbus street) now stands. The first settlers upon what is now known as the Brighton side of the creek were also Brainards. Two brothers, Amos and Jedediah, with a cousin named Jabin, started with their families from Connecticut and traveled westward together as far as Ashtabula, where Jedediah, an old man of seventy, fell ill (in consequence, doubtless, of having walked all the way from Connecticut_ and died. Sylvanus, his eldest son, who had a family of his own, took charge of his mother and her children, and, with Amos and Jedediah, continued the trip to Brooklyn, where they arrived in the summer of 1814. Amos located about a mile south of what is now Brighton village, where he owned three hundred acres of land. Sylvanus and Jabin settled near by. Amos had three sons and one daughter, Amos B., William, Demas and Philena-all of whom save Demas died in the township. Demas is now a hale old man of eighty-eight, and resides on a farm a mile southeast of Brighton-the place which he made his home in 1818. George and Thomas Aikens, brothers of Mrs. Amos Brainard, had preceded that gentleman by a year or more, and had taken up land on the Brighton side, but the Aikens family did not occupy it until some time afterward. This land Amos Brainard cultivated for the Aikens, and on that farm, by Demas Brainard, the first ground was broken on the south side of the creek. Cyril and Irad, sons of George Aikens, lived on the place after a time. Cyril died there and Irad in Black River, whither he moved at an early day. George and Thomas Aikens resided on the Brooklyn side, near the site of the infirmary, where George Aikens, the grandson of the former George, now resides. One of the stirring citizens of early Brooklyn was Diodate Clark, of Connecticut, who settled in the township in 1815, and was afterward a man of some prominence in its history. He was the first male school teacher in Brooklyn, and was a wide-awake business man. He eventually became concerned in large enterprises in Cleveland, where it is said he was the first to engage in the lime trade. He died on his old homestead in 1877. James Sears, of Connecticut, settled in Brooklyn in 1817, and still lives-now aged eighty-upon a farm two miles west of Brooklyn village. He worked at first in Cleveland, and boarded with Asa Brainard. After a time he took up a farm and has lived upon it ever since. Jeremiah Gates, originally from Connecticut, made his home in Delhi, New York, in 1815, and in 1816 walked from that place to Brooklyn for the purpose of examining the country. Satisfied with its appearance he walked back to Delhi (having occupied six weeks in the entire journey), married there, and in company with his wife, his brother Nathaniel, and another man (who soon returned east) set out for Brooklyn. A horse and wagon conveyed them to Buffalo, where they took a vessel and thus made their way to Cleveland. Jeremiah was too poor to buy land, and for the first two years after his arrival in Brooklyn worked in Philo Scovill's sawmill. In 1819 he assisted his brother Nathaniel in the erection of a sawmill at what is known as five-mile lock. In 1820 he bought a farm in Brooklyn and there continued to reside until his death in 1870. His widow survives him, and lives on the old place, in Brighton village, aged eighty-five. Richard and Samuel Lord and Josiah Barber, of the firm of Lord and Barber before mentioned, removed to that part of Brooklyn which is now the west side of Cleveland as early as 1818, and resided there until they died. Edwin settled on lot ninety, in he southeast corner of the township, and devoted himself to farming and gardening, in which latter occupation he was especially successful. Ansel P. Smith, who set up the first wagon shop in Brooklyn, came out from Connecticut, in 1830, with his brother-in-law, Timothy Standard, an old sea captain, and together they opened a store in Brooklyn village, the first one in that locality. After an experience of five years they gave up the venture-Smith going west and Standard back to Connecticut. After that, there was not much done in the mercantile line in Brooklyn village until 1843, when A. W. Poe opened a store and conducted it successfully for thirty years. A Mr. Huntington, from Connecticut, opened a store in Brighton in 1840, where John Thorne, a Frenchman, had previously started a blacksmith shop. Epaphroditus Ackley, a miller, settled on Walworth run in 1814, worked a while in Barber's mill, and moved away after a residence of some years. Asa Ackley, of New York, located at a later period near where the infirmary now stands, and opened the first blacksmith shop on the Brooklyn side. In the foregoing sketch of Brooklyn's early settlement it has been the aim of the chronicler to treat principally of such incidents and persons as were identified with the first decade of the township's history. After that, settlers multiplied so rapidly that the newcomers obtained no distinctive place in the records of the time. Those who lead the van in the settlement of a new country usually form but a handful, whose numbers may be easily counted, and whose progress may be easily traced; and they, too, are the ones around whom settles the peculiar interest which always attached to the "pioneers" of a locality. Brooklyn, being adjacent to Cleveland, shared to some extent the prosperity of that city, and its progress, after about 1825, was quite rapid. Although shorn of a large part of its original territory, by the annexation of the Ohio City to Cleveland in 1854, and by subsequent minor encroachments, it is still numerously populated, and is not only a prosperous but a quite wealthy township. The first sawmill put up in Brooklyn township was erected by Philo Scovill, of Cleveland, in 1817, on Mill creek, about two miles west of where Brooklyn village now is. Mr. Scovill not only furnished lumber to the early settlers, but also made window sashes and doors. Lord & Barber (the great land proprietors,) put up a similar mill there not long afterward, and about the same time a third sawmill was built on the same creek by Warren and Gershom Young. In 1819 Nathaniel Gates built a sawmill on the creek, at what is known as five-mile lock. The first gristmill in the old township is supposed to have been built by one of the Kelleys, of Cleveland, on Walworth run, near where the Atlantic and Great Western railroad now crosses that stream. The next one, known as Barber's mill, built in 1816, was run by Elijah Young for a while, and stood about a half a mile above Kelley's. There were some other establishments on Walworth run, but they do not concern the history of the present township of Brooklyn. Brooklyn township was organized June 1, 1818, and embraced originally "all that part of Cleveland situated on the west side of the Cuyahoga river, excepting a farm owned by Alfred Kelley." Since then a part portion of its territory has been restored to Cleveland. 1850, James Sears, Francis Branch, Ambrose Anthony. 1864, Alfred Kellogg, Levi Fish, William Lehr (resigned in November, and James Sears appointed. The latter resigned in December, and Francis S. Pelton was appointed). 1879, William Thomas, S. R. Brainard, Charles Miller. 1843 and 1844, John H. Sargeant; (In September, 1844, Sargeant removed, and George L. Chapman was appointed.) 1845, Charles Winslow; 18456 to 1854, inclusive, C. E. Hill; 1855, F. W. Pelton; (resigned in July, and C. E. Hill appointed.) 1856, Bolles M. Brainard; (Died in August, and Charles H. Babcock appointed.) 1857, C. H. Babcock; 1858, Frederick Dalton; 1858, Joseph B. Shull; 1860 and 1861, Charles H. Babcock; 1862 and 1863, Henry Fish; 1864, F. H. Chester; 1865 and 1866, Frederick W. Wirth; 1867, F. H. Chester; 1868 and 1869, Edwin Chester; 1870, Edward F. Fuller; 1871, B. J. Ross; 1872 to 1877, inclusive, William Treat; 1878 and 1879, Charles N. Collins. 1837, Ozias Brainard; 1838, C. E. Hill; 1839, Ozias Brainard; 1840 James Ray (Resigned in November, and C. E. Hill appointed.) 1841 and 1842, C. E. Hill; 1843 and 1844, Davis S. Brainard; 1845, Bethuel Fish; 1846 and 1847, D. S. Brainard; 1848 and 1849, Bethuel Fish; 1850, Francis Fuller; (Died in August, and Bethuel Fish appointed.) 1851, Elihu Corbin; 1852 to 1854, inclusive, S. J. Lewis; 1855 to 1857, inclusive, William Wilson; 1858 to 1860, inclusive, Carlos Jones; 1861, Benj. R. Beavis; 1862, D. S. Brainard; 1863 and 1864, Ozias Fish; 1865 and 1866, F. H. Chester; 1857 to 1869, inclusive, Jacob Schneider; 1870 and 1871 Carver Stickney; 1872, John Duncan; (Died in April, and George J. Duncan appointed.) 1873 to 1875, inclusive, G. J. Duncan; (Removed in November, and F. H. Chester appointed.) 1876 and 1877, F. H. Chester; 1878 and 1879, Russell Brown. 1836, George W. Marsh; 1837, C. L. Russell, William Burton; 1838, Benjamin Doud, Herman A. Hurlbut; 1840, C. L. Russell; 1841, Benj. Doud, Samuel Tyler; 1842, Scott W. Bayles; 1843, J. H. Sargent; 1844, Benjamin Sawtell; 1845, Andrew White, Ezra R. Benton, Henry L. Whitman; 1847, Homer Strong, Samuel Storer; 1848, H. L. Whitman; 1850, Homer Strong, J. A. Redington, Samuel Storer; 182, Ezra Honeywell, Wells Porter; 1858, Charles H. Babcock; 1855, Austin M. Case, Daniel Stephan; 1856, Chas. H. Babcock; 1857, Felix Nicola; 1859, Chas. H. Babcock; 1860, Felix Nicola; 1862, Chas. H. Babcock; 1863, Felix Nicola (resigned in December, 1864); 1865, Benjamin R. Beavis, John Reeve; 1868, Chas. H. Babcock, John S. Fish; 1871, Joseph M. Poe, Chas. H. Babcock, 1872, Ambrose Anthony; 1874, Chas. H. Babcock, (resigned in October, 1874,) William Treat; 1875 Ambrose Anthony; 1877, William Treat, Charles N. Collins; 1878, Ambrose Anthony; 1879, C. N. Collins and W. Treat. According to the best recollection of Brooklyn's early settlers, the first religious services in the township were held by a traveling Universalist preacher whose name has been forgotten. He preached the funeral sermon of the mother of James Fish in 1816, and preached twice in Brooklyn after that event. About that time Rev. Messrs. Booth and Goddard, Methodist circuit riders, preached in Brooklyn, and under the auspices of the latter, about 1817. THE METHDIST EPISCOPAL CHURCH OF BROOKLYN. was organized in a log house which stood in the rear of the site of the present Methodist Episcopal Church and which was used as a town house and a place of worship for both the Methodists and the Congregationalists. The first Methodist Episcopal class, however, had already been formed in 1814 at the house of Ozias Brainard, where the Methodists used to assemble for weekly prayer and conversation, before the coming of any minister. Ebenezer Fish, Sylvanus Brainard and Seth Brainard were the first three members of the class, which, however, was shortly increased to sixteen. Ebenezer Fish was the first class leader, and when it was agreed to divide the class into two sections-a part, meeting on the north, and a part on the south side of the creek-Seth Brainard was chosen as the second class leader. The first presiding elder was Charles Waddell, and the early ministers of the church were Rev. Messrs. James Taylor, John Crawford, Solomon Menier, Adam Poe, H. O. Sheldon, James McIntire, ___ Dickson, Elmore Yokum, ___ Hazard, ___ Howe. The later pastors have been Rev. Messrs. N. S. Albright, Joseph Mattock, Alfred Holbrook and the Rev. Mr. Headley, the latter being the pastor September 1, 1879. The church has now a membership of one hundred. The trustees are A. W. Poe, J. W. Fish, Ozias Fish, H. Richardson, R. Pelton, L. G. Foster, S. R. Brainard and J. Tompkins. The class leaders are George Storer, S. Strowbridge, J. Tompkins, W. Woodward, S. Wallace, A. W. Poe. The Sunday-school has about one hundred scholars, and is in charge of T. K. Dissette. The congregation worshiped in the log town-house until 1827, when a framed church-edifice was erected upon the site of the present structure. The latter was built in 1848, the old one being moved, and being now used as a private residence. This is located at Brooklyn village and was organized July 23, 1819, with the following members; Amos Brainard, Isaac Hinckley and Sallie his wife, James Smith and Eliza his wife, and Rebecca Brainard. The organization took place in the town-house, and was effected by Rev. Messrs. Thomas Burr and William Hanford, who were sent for this purpose by the Cleveland presbytery, to which the Brooklyn church was attached. Previous to the organization Isaac Hinckley-who was the first deacon chosen by the church-used to conduct religious meetings at the house of Moses Fish, where the Congregationalists often assembled for worship. The membership was not increased until October 3, 1819, when Ozias, Mary, Ira and Phoebe Brainard were taken into the fold. The Cleveland presbytery supplied preachers occasionally for some years; services being held, as a rule, once a fortnight. We learn from the records that down to 1847 the ministers who preached for the church were Rev. Messrs. William McLain, T. I. Bradstreet, Randolph Stone, B. B. Drake, _____ Fox and _____ Foltz. In 1847 the congregation-being much reduced in strength-cased to assemble for worship and remained inactive until 1851, when public services were renewed under the ministry of Rev. Calvin Durfee, who was followed successively by Rev. Messrs. James A. Bates, E. H. Votaw and J. W. Hargrave, the latter being now in charge. In April, 1867, the church united with the Cleveland Congregational conference, having till that time been attached to the Cleveland presbytery. In 1830 the congregation left the old loghouse and worshiped in a new church which was built in that year. It is still used, being one of the oldest church buildings in Ohio, but will probably be vacated in November of this year (1879) for a new and handsome brick church, now nearly completed. The church membership is now eighty-four. The deacons are Hiram Welch, A. S. Hinckley and Ebenezer Fish, and the trustees are M. L. Mead, I. N. Turner and Ebenezer Fish. The present membership is eighty. The trustees are Asahel Brainard, Charles Gates, Leonard Fish, H. C. Gates, George Brainard, Demas Brainard, Thomas Davies, Martin Oviatt and Albert Ingham; the stewards are J. K. Brainard, Abel Fish, Luther Brainard, Charles Gates, George W. Brainard, William Avann and Asahel Brainard; the class leaders are George W. Brainard, William Avann, Thomas Davis, J. M. Brainard and Russell Brainard. The pulpit is being supplied at present by Rev. E. H. Bush. *The Reformed Methodists had seceded from the Methodist Episcopal church of Brooklyn, and started a church on the south side of the creek in 1840, but dissolved three years later. The prominent members were Julia and Ogden Hinckley, Cyrus Brainard, and Joseph and Matilda Williams. This is a German organization, located at Brighton, which was formed about 1840. Public worship was first held in a school-house a mile east of Brighton village, the first minister being Rev. Mr. Allard, of Cleveland. In 1844 the church erected at Brighton the substantial house of worship now used. About one hundred families comprise the congregation, which is under the charge of Rev. Mr. Locher. The trustees are George Riedel, Caspar Janney, Martin Walter, Gottleib Merkel and Christian Haas. CHURCH OF THE LADY OF THE SACRED HEART. This Roman Catholic church was organized at Brighton in 1875, by Rev. P. F. Quigley, D. D., in which year a handsome brick house of worship, costing $10,000, was built. Although Brighton then contained many Catholics, their number has latterly been materially lessened by removals, and for nearly a year (since December, 1878) the church has been opened but once for public worship. The last pastor of the church was Rev. T. Marshall, who succeeded Father Quigley in 1877. Early in 1879 a number of the members of the West Side Disciple Church, residing in Brooklyn village-(among the prominent ones being H. Brown and Wm. Towsley)-agitated the subject of organizing a church in Brooklyn, and in May held their first meeting in the Brooklyn Opera House, on which occasion a large number of persons participated in the exercises. An independent church has not yet been formed, but regular Sabbath meetings have been held in the Opera House since that time, the congregation, for the present, being attached as a mission to the West Side church, whence the preaching is supplied. About forty members are included in the congregation, and it is probably that a church will speedily be established. Miss Dorcas Hickox, sister of Abraham Hickox, a blacksmith of Cleveland, taught school in Brooklyn as early as 1818, in the home of James Fish. She had eight or ten scholars, of whom Isaiah W. Fish is still living. Miss Hickox, who was probably the first school-teacher in those parts, taught but one summer. Who her immediate successor was is not clear, but it is moderately certain that Diodate Clark wielded the birch not long after Miss Hickox's time, and a famous pedagogue he was. After Clark, Stephen Brainard's place, and then Lyndon Freeman, of Parma, was for a while the leader under whom the aspiring youth of the day climbed the rugged heights of learning. Apart from the villages of Brooklyn and West Cleveland-which manage their own school affairs-the township has now five school districts and six schools, with an average attendance of one hundred and seventy-two, out of an enrollment of two hundred and sixty-four scholars. The number of teachers employed is seven, and the yearly expenditure for school purposes about $3,300. The members of the board of education are Frank H. Chester, Carver Stickney, Henry Perrin, Claus Fiedmann and J. Featherstone. The value of school property in the township districts in 1879 was $13,500. Brooklyn village, which under the union school law has managed its own school affairs since 1869, has a fine brick school edifice, in which there rive departments, including a high school. The daily attendance of pupils averages one hundred and seventy-six and the teachers-including the superintendent-number five, to whom $2,400 are paid yearly. The village of West Cleveland has three school-houses-on Detroit street, Jones street, and McCart street-with five schools and five teachers. The attendance averages nearly three hundred, and the cost for school support is nearly $4,000 yearly. The present board of education is compiled of Messrs. Alex. Forbes, M. B. Nixon, G. B. Mills, W. P. Ranney, A. W. Fairbanks and Oliver King. In the year 1840 Moses Merrill, a New York school-teacher, and sometimes Methodist preacher, happened to visit Brooklyn about the time certain of its prominent citizens were agitating the subject of starting an academy. They secured Merrill to teach for them, put up a framed building on the lot now occupied by the Brooklyn village school, called it the Brooklyn Academy and opened it as a select school of some pretensions. It flourished for several years as an important institution of learning, but gave way eventually before the rapid strides of the public school system and disappeared. The old academy building is now used in part for the village post office. was founded by Samuel H. Barstow about 1840, when Brighton was regarded as a place with a brilliant future before it. The brilliant future failed, however, to reveal itself, and the Brighton Academy went down within a brief season. The village of Brighton was laid out originally upon land occupied by Warren Young's farm, and additional surveys were made from time to time. Its progress was unmarked by special incident until 1836, when, under the influence of the energy of Samuel H. Barstrow, matters began to look up. Speculation in lots began to grow earnest, and to further stimulate the spirit of the hour, Mr. Barstow procured the incorporation of the village. At the first election, early in 1837, twenty-three votes were cast for mayor, Nathan Babcock receiving fourteen and Sam'l H. Barstow nine. A. S. Palmer was chosen as recorder, and a Mr. Clemens as marshal and street commissioner. In less than a year, however, Brighton came to a stand-still. When the next election time came the villagers concluded that the new departure was a failure, and declined to hold an election, and the charter went be default. Since that time the progress of Brighton has been slow, yet in all it has been considerable. It has a population of perhaps eight hundred, is abundantly supplied with stores and hotels, has three churches, and does a small business in the manufacture of wagons. The stores have a good trade with the surrounding country, which contains a numerous thrifty and substantial farmers, many of whom are Germans, as are also many of the villagers. Brooklyn Village (originally called Brooklyn Center) was laid out in part in the year 1830 by Moses Fish, an early settler and the owner of considerable land in what is now the center of the village. Fish laid out twenty-five lots, and directly afterward Ebenezer Fish, his brother, and a large land owner, began a survey for the same purpose. He sold off only a few lots, however, before disposing of the residue of his property to Betts & Bibbens, land speculators, who platted an extensive tract. This was the first work of importance in the way of starting the village. Later, at various times, it was followed by numerous additional surveys by a dozen different parties, some of whom have yet to realize on their investments. 1867. Mayor, Bethuel Fish; recorder, Leonard Foster; treasurer, A. W. Poe, J. S. Fish, Adam Kroehle, C. B. Galentine, Geo. Storer; marshal, John May. 1868. Mayor, Bethuel Fish; recorder, Leonard Foster; treasurer, Levi Fish; trustees, A. W. Poe, Adam Kroehl, Seymour Trowbridge, L. C. Pixley, J. M. Curtiss; marshal, O. M. Wallace. 1869. Mayor, Seymour Trowbridge; recorder, Wesley Trowbridge; treasurer, John S. Fish; trustees, Lewis Roberts, Eliphalet Wyatt, Alanson Clark, A. P. Wirth, Geo. Storer; marshal, Samuel B. Root. 1870. Mayor, Seymour Trowbridge; clerk, Wesley Trowbridge; treasurer, J. S. Fish; council, I. W. Fish, Henry Fish, Wm. Towsley, Lewis Roberts, A. P. Wirth, J. M. Poe; marshal, O. M. Wallace. 1871. Mayor, Seymour Trowbridge; clerk, Wesley Trowbridge; treasurer, J. S. Fish; council, Lewis Roberts, A. P. Wirth, J. M. Poe, S. D. Phelps, L. C. Pixley, J. H. Storer; marshal, M. J. Truman. 1872. Mayor, E. H. Bush; treasurer, H. Fish; clerk, L. G. Foster; council, L. C. Pixley, J. H. Storer , S. D. Phelps, A. W. Poe, Ozias Fish, Adam Kroehle; marshal, Shelby Luce. 1873. Mayor, Wm. Towsley; clerk, L. G. Foster; treasurer, H. Fish; council, Adam Kroehle, A. W. Poe, Ozias Fish, Jas. Gay, L. C. Pixley, Wesley Trowbridge, marshal, Shelby Luce. 1874. Mayor, Albert Allyn; clerk, R. W. Whiteman; treasurer, J. S. Fish; council, Wesley Trowbridge, L. C. Pixley, Jas. Gay, E. Wyatt, F. Clifford, J. Schneider; marshal, Shelby Luce. 1875. Mayor, Albert Allyn; clerk, R. W. Whiteman; treasurer, J. S. Fish, council, E. Wyatt, F. Clifford, J. Schneider, Jas. Towsley, Calvin Allyn, Carlos Jones; marshal, Shelby Luce. 1876. Mayor, Henry Ingham; clerk, R. W. Whiteman; treasurer, R. A. Brown; council, Jas. Towsley, Calvin Allyn, Carlos Jones, A. Mandeville, Aug. Esch, Theodore Paul; marshal, A. L. Van Ornum. 1877. Mayor, Henry Ingham; clerk, R. W. Whiteman; treasurer, R. A. Brown; council, Aug. Esch, A. Mandeville, Theo. Paul, Lewis Roberts, Thos. Quirk, M. H. Farnsworth; marshal, A. L. Van Ornum. 1878. Mayor, J. AS. Fish; clerk, J. H. Richardson; treasurer, Russell Brown; council, M. H. Farnsworth, Thos. Quirk, Lewis Roberts, J. W. Naff, Chas. Robinson, Peter Vonder Au; marshal, A. L. Van Ornum. 1879. Mayor, J. S. Fish; clerk, J. H. Richardson; treasurer, Russell Brown; council, J. W. Naff, Chas. Robinson, Peter Vonder Au, I. N. Turner, J. H. Storer, G. R. Davis; marshal, A. L. Van Ornum. Brooklyn village is now a thriving place of about fifteen hundred inhabitants, contains many fine residences, has some important manufacturing establishments in and near the borough, and will doubtless improve in various ways after the completion of the Valley railroad. The village of West Cleveland, with a population of one thousand five hundred, joins the city of Cleveland on the west, having its northern front on Lake Erie. That portion of Brooklyn was not settled until a comparatively recent date, and had at first nearly all its habitations along the line of what is now Detroit street. That thoroughfare is still the main avenue of West Cleveland. It stretches, within the village, two miles and a half west of the city limits, and is embellished with many handsome suburban residences of Cleveland merchants. West Cleveland was incorporated in 1870, as a defensive measure-so it is said-against a prospective absorption by Cleveland. As the village records, down to a very late date, have been lost, we can only give a list of the mayors and clerks, as follows: 1870-mayor, H. W. Davis; clerk, Charles M. Safford. 1872-mayor, S. F. Pearson; clerk, Charles M. Safford. 1874-mayor, William Mitchell; clerk, Alfred Lees. 1878-mayor, L. H. Ware; clerk, John Hawley. Although the village is quite populous, it is so closely allied to Cleveland in a material sense that it is simply a city suburb. Its inhabitants are mostly engaged in business in the city, and attend religious worship there. There is no religious organization in West Cleveland, and but one place where religious services are held-a mission chapel where Sabbath meetings are maintained under the auspices of the Young Men's Christian Association, for the benefit of all denominations. This is located on Detroit street, in West Cleveland, and covers sixty-one acres, upon which there are substantial buildings. In 1868 the widow of Simeon Jennings gave to the Children's Aid Society of Cleveland eleven acres of land and the buildings upon it, to be used as an industrial school farm. The society obtained by donations sufficient money to purchase fifty additional acres, and since that date the place has been devoted to the noble purpose of providing for destitute and homeless children, training them in useful knowledge and eventually placing them in comfortable homes. During 1878 the children received numbered one hundred and forty-seven, of whom eighty-eight were placed in good homes. The average number of children in the institutions is forty. Linndale, is a station on the Cleveland, Columbus, Cincinnati and Indianapolis railroad, and was at one time a place regarding which many bright anticipations were indulged in. Three hundred acres of land were purchased, in 1872, by Robert Linn, and others of Cleveland, a town was laid out, building lots were freely sold and Linndale made a promising start. The Linndale Stove and Hollow Ware Company expended seven thousand dollars in erecting a foundry there, began operations on a capital of fifteen thousand dollars, and with a force of fifty hands soon gave a business appearance to the place. Quite a number of dwellings went up, a newspaper called the Linndale Enterprise, under the editorship of Mr. Robinson, was called into existence, and a hotel and several stores went into operation. Unhappily, however, for the project, the financial crisis of 1873 stopped the growth of the new town, which at its best contained about eight hundred inhabitants. The land company, which had absorbed Mr. Linn's interests, failed to meet its payments on the land; purchasers became alarmed concerning the titles and many of them forsook the place. The company forfeited its lands to the original owners and Linndale staggered under the blow. The paper suspended, the hotel and stores closed, and the Linndale Stove Company, which maintained a somewhat longer struggle for existence, went down in 1875 in utter failure. Wm. Buckholz, who had a small manufactory of portable feed-mills, carried on his business in the town until the spring of 1879, whom here moved to Cleveland. Since 1875, Linndale has been a very small and very quiet village, but faith in its future still animates some sanguine hearts, and certainly there is nothing improbable in its becoming a prosperous town. The first burials in the old township of Brooklyn were made in a lot near the present graveyard on Scranton avenue, in Cleveland. These burials were four in number, and the next one-that of Mary Wilcox, mother-in-law of James Fish, was made in 1816, upon a half-acre lot owned by Mr. Fish. That lot Mr. Fish subsequently donated to the township for use as a public graveyard, and it is now a part of the Scranton avenue cemetery. The four graves above referred to were obliterated long ago, and occupied it is thought, a spot of ground now traversed by the avenue. The next public burial ground was laid out in 1844, east of the Methodist church in Brooklyn village. There are now six or seven burial grounds in the township, including Riverside cemetery, a sketch of which will be found in the history of Cleveland. A post office was established in Brighton in 1836, which until 1867 was the station for Brooklyn village. It is known as Brooklyn post office, and has had as postmasters, from 1836 to 1879, the following: Samuel H. Barstow, Geo. W. Hibbard, William J. Case, C. H. Babcock, G. Woodruff, Daniel Selzer, A. Van Derwyst and Chas. Huhn. Brooklyn Village postoffice was not established until 1867, since which time the postmasters at that point have been J. M. Poe, A. W. Poe, E. H. Bush, Samuel Sears and John Reeve. West Cleveland post office was established in 1877, C. E. Terrell being the first appointee. His successors have been Messrs. Beebe, Sweeny, and Oldfelder; the latter being the present incumbent. This company, which is carrying on an extensive manufacture of super-phosphate near Brooklyn village, originated in 1863, when P. B. Bradley and Coe Brothers, under the name now used by the corporation, began to make super-phosphate on Mill creek, near the line of the Cleveland, Columbus, Cincinnati and Indianapolis railroad. There they employed about twenty men in their works, which were destroyed by the fire in 1874. After that event the partners organized "The Cleveland Dryer Company" as a corporation, with a capital of $50,000, and built the works now used by it, on the line of the proposed Valley railroad. The company occupies eleven acres of land at that point, employs fifty men, and confines itself to the manufacture of the Buckeye and Forest City brands of super-phosphate. THE LAKE ERIE DRYER COMPANY. This is a firm composed of G. W. Dart and W. H. Gabriel, manufacturers of the Excelsior super-phosphate and poudrette at appoint about a mile east of Brooklyn village. The works over about two acres on the creek, and give employment to twenty men. A Mr. De Mar was the first to start these works, about 1865, being succeeded in 1869 by Joseph Cook, who sold out in 1876 to the firm now in possession. Davis & Wirth are somewhat extensively engaged at Brooklyn village in the manufacture of boots, shoes and slippers, and employ an average force of twenty men. Davis & Richardson inaugurated the business at Brooklyn in 1864. After them Davis, Pelton & Co. continued it; being followed by Davis & Wallace Brothers, who dissolved in 1870. Mr. Davis then transferred his business to Cleveland, whence in January, 1879, he returned to Brooklyn, and in company with Mr. Wirth renewed the manufacture of boots and shoes in that village. Adam Kroehl carries on a large brick tannery at Brooklyn village, in which he tans about ten thousand hides and skins annually, employing ten men. Mr. Kroehle has conducted the business since 1862, when he purchased it from Mr. Storer, who started it about 1840. E. Jorns has a small tannery at the foot of Brooklyn village hill, where he turns out about twenty hides weekly. On the Brighton side of the creek, Charles Mueller has a similar establishment of like capacity. Ebenezer Fish inaugurated the nursery business in Brooklyn, in 1840, but did not develop it to any extent until he placed it in charge of Wm. Curtiss, who, after expanding the trade and making it profitable, became Mr. Fish's partner. He afterward bought him out, extending the business still more and eventually establishing numerous nurseries in the township, to which he gave the general name of the Forest City Nurseries. In 1859 he took in his brother, J. M. Curtiss, as a partner, who upon the death of William Curtiss, in 1860, assumed control of the business, and so extended it that between the years 1865 and 1875 his annual sales reached as high as sixty thousand apple and peach trees alone. In 1875 he sold his interest in the nurseries to M. A. Wilhelmy, who has since then controlled them. Brooklyn is crossed, in a diagonal direction, from northeast to southwest, by the Cleveland, Columbus, Cincinnati and Indianapolis railroad, its only station in the township being at Linndale. The Lake Shore and Michigan Southern railroad crosses West Cleveland, and also bears southwestwardly, but not so far to the south as the former road. The Rocky River railroad runs along the northern end of the township, parallel with the lake, to Rocky river. A street railway connects Brooklyn village with Cleveland. The Valley railroad, to run from Cleveland to Canton, is now in process of construction, passing across the western portion of this township. The entire distance is graded, and it is now expected that trains will run between Canton and Cleveland by the first of January, 1880. The owners have donated thirty-one acres of land in Brooklyn to the company, as a site for its car-shops, depot, etc., and it is confidently believed that the completion of the enterprise will bring a decided increase of prosperity to the township. GLENN LODGE, I. O. O. F.
Glen [sic] Lodge, No. 263, was organized in Brighton, March 21, 1855, with ten charter members. The present membership is one hundred and thirteen, the officers being as follows: George Schmehl, N. G.; J. C. Wait, V. G.; Walter H. Gates, R. S.; William Treat, P.S. ; George Reidel, treasurer. GLENN ENCAMPMENT, I. O. O. F.
Glenn Encampment, No. 181, was organized at Brighton in 1874, with ten charter members. 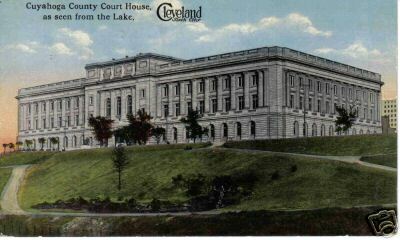 In June, 1879, it was removed to Cleveland, and named Cleveland Encampment, after an organization which had previously existed in the city, but which had been suspended. The present officers are J. J. Quay, C. P.; J. S. Wood, H. P.; P. Shackleton, S. W.; W. H. Newton, J.W. ; Wm. Treat, scribe; C. Stickney, treasurer. BROOKLYN LODGE, F. & A. M.
Brooklyn Lodge, No. 454, was organized October 18, 1871, with the following charter members: E. T. Ellsworth, Henry Richardson, Samuel B. Root, C. H. Babcock, G. R. Davis, John Lane, Frederick Wirth, Wm. Wilson, Wm. Woodard, Ozias Fish, Chas. Mueller, C. W. Quirk, J. H. Storer, E. H. Bush, I. N. Turner, Thos. Quick, Henry Fish and Theodore M. Towl. The Worshipful Masters of the lodge have been E. T. Ellsworth, C. H. Babcock, Henry Fish, R. H. Wirth, T. M. Towl, George R. Davis and D. W. Hoyt, the latter serving two terms. The present membership is thirty-eight, and the officers are as follows: D. W. Hoyt, W. M.; T. S. Davis, S. W.; A. L. Sausman, J. W.; G. R. Davis, treas. ; J. H. Storer, secy. ; F. Cosgrove, S. D.; W. C. Towns, J. D.; Geo. J. Duncan, tyler; E. H. bush, chaplain. Regular meetings are held on the first and third Wednesdays of each month, in the Masonic Hall, Brooklyn village. The Brooklyn Light Artillery was organized by Capt. Sidney Andrews in 1858, with twenty-eight men and one gun-a brass six-pounder. The command built, in 1858, the structure in Brooklyn village, still known as "The Armory," and occupied by Davis & Wirth as a shoe factory. After two years existence as a militia company, it entered the three months service in 1861, as a part of the First Ohio Light Artillery. Mention of the services of that regiment are made in the general history. After being mustered out, so many of the men volunteered into other commands that the company could not be kept up. The "Brooklyn Blues" were organized in February, 1876, by S. G. Cosgrove, as an independent company of infantry. It then numbered forty men. The first officers were S. G. Cosgrove, captain; R. W. Whiteman, first lieutenant; B. F. Storer, second lieutenant. Upon the organization of the Fifteenth Regiment Ohio National Guards, the "Blues" joined that company as Company B, and as such are still known. The company now numbers thirty-five men, its officers being T. K. Dissette, captain; W. C. Towns, first lieutenant; B. F. Storer, second lieutenant. Company B is equipped with Springfield breech-loading muskets, and owns its armory at Brooklyn village. BROOKLYN HOOK AND LADDER COMPANY NO. 1. Brooklyn village boasts a fire company, numbering thirty uniformed men, and having for appraisers a Babcock fire-extinguisher and a hook and ladder truck. No. 1 was organized in 1876, with thirty men. William Beaser was the chief; Frederick Wirth, the first assistant, and John Sweisel, the second assistant, William Beaser is the present chief; John Sweisel, the first assistant, and H. B. Wallace, the second assistant.